No arguing that accounting is an essential business process. Whether a new startup or established business, leadership requires timely, accurate current and projected data about where money is coming from and how it’s being spent. And for many organizations, QuickBooks Online has become the go-to cloud-based accounting service. 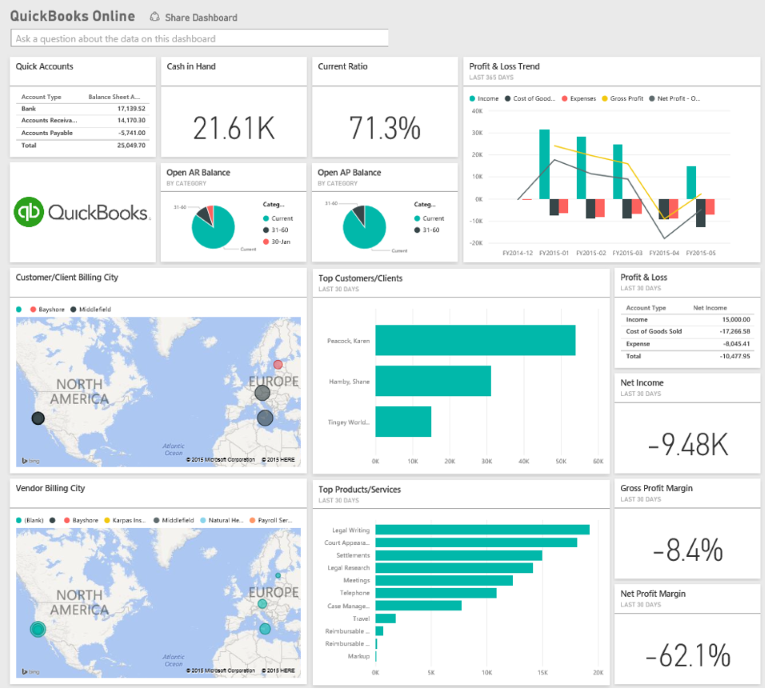 With Power BI content pack for QuickBooks Online, you can immediately visualize your finance data and uncover new insights into cash flow, profitability, and customers. Share your QuickBooks Online data with colleagues in a Power BI report and dashboard, refresh data on a schedule or on demand, and monitor the latest income and expenses on the go with the native Power BI app for mobile devices. The QuickBooks Online content pack in Power BI enables you to connect to your QuickBooks Online account in just minutes. 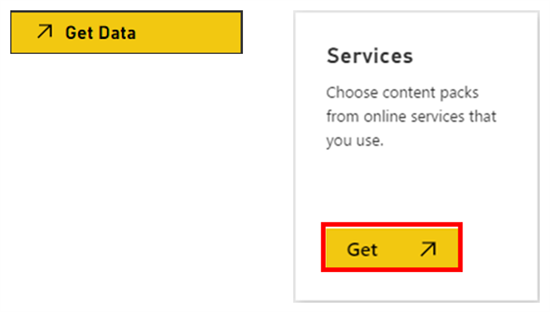 In your Power BI workspace, click Get Data. Power BI displays the Get Data page. Under Content Pack Library, in the Services box, click Get. From the menu of online services, click QuickBooks Online. Power BI initiates a connection. 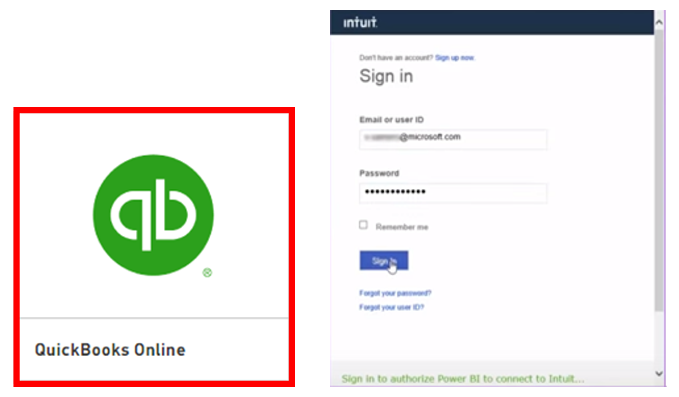 Sign in with your QuickBooks Online credentials. That’s it. 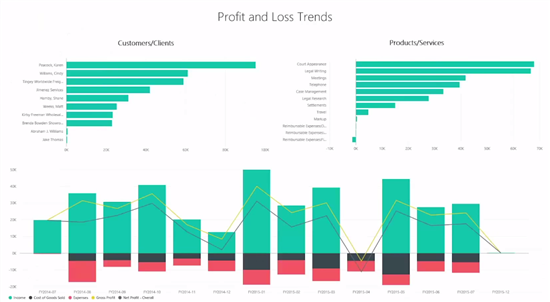 Power BI automatically creates a dataset, report, and dashboard. The built-in dashboard shows current cash on hand, profit and loss trend, net income, top customers, and more. Click a visualization on your dashboard. 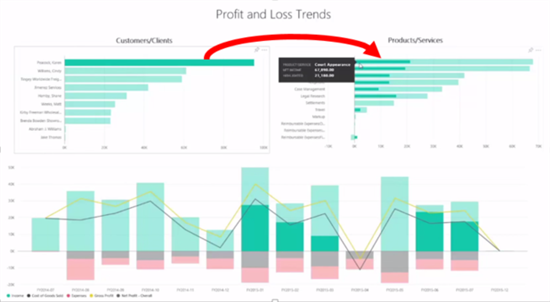 Power BI opens the report canvas, displaying your QuickBooks data in pre-formatted charts and tables. 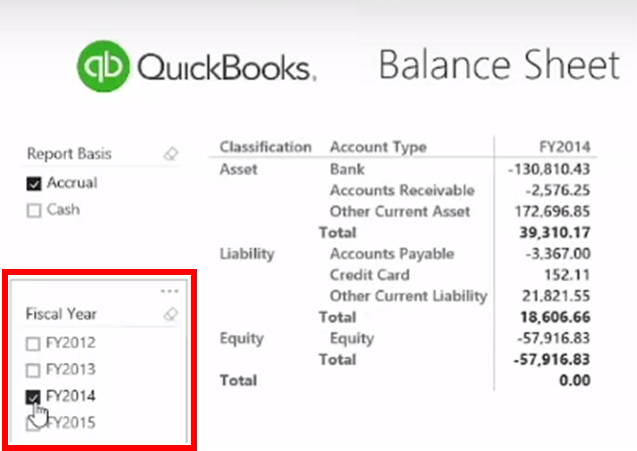 View your balance sheet. Then slice it by any combination of fiscal years to get insights into how accounts have changed over time. Switch to the profit and loss trends report. The charts display an easy-to-grasp view of the bestselling products or services and best customers. Suppose you want to find out the relationship between customer sales and profit of particular products or services. 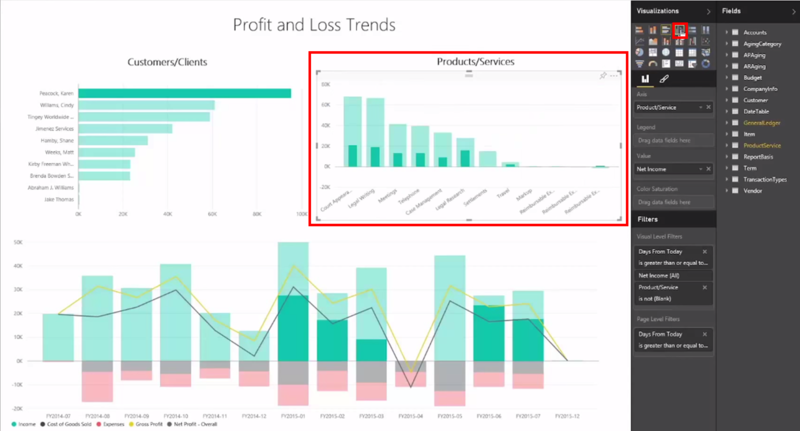 A cool Power BI feature is that you can cross-filter charts interactively. Click to highlight the top customer. Power BI adjusts the display to show the selected customer’s contribution to net profit of individual products or services. Want to change a visualization? Simple. For example, to change the products/services bar chart to a column chart, select the column chart icon in the visualizations menu. 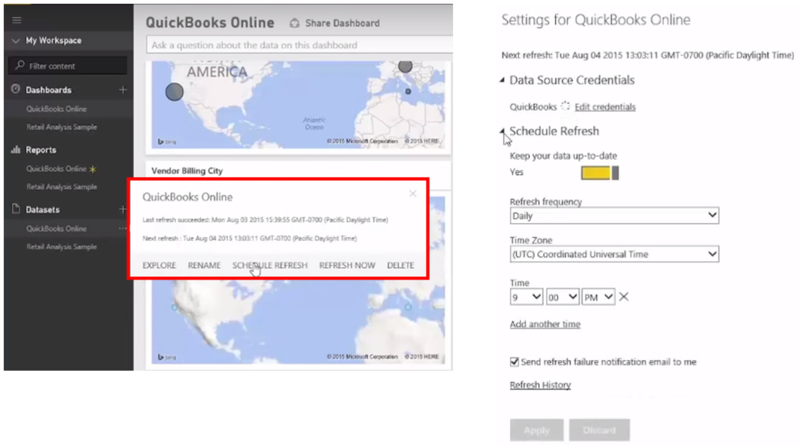 Power BI also lets you control when to get the latest QuickBooks Online data. Refresh your data immediately, or schedule a regular refresh time. Companies in the financial services industry are using Power BI today, not only to track the latest balance sheet and profit and loss data, but to gain insights into delivering the best service to their customers. 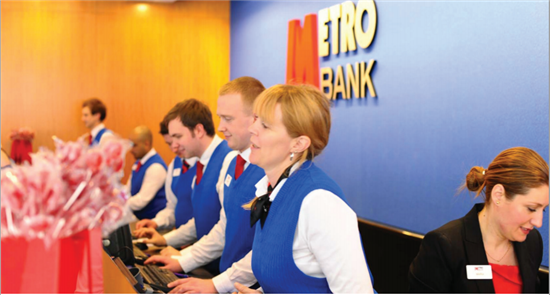 Take Metro Bank, the first new major bank in the UK in over a century. It’s using Power BI to gather rich and detailed operations data to obtain a full view of customer behavior, all within a single tool. Staff can combine account activity data with data from customer satisfaction surveys, wait times, and more to understand and improve the customer experience. The reporting data is refreshed each night so staff can see an up-to-date view of the previous day, weeks, months or year. This data-driven, customer-focused approach is paying off. Thousands of people have become new Metro Bank customers over the last five years. Power BI can help put your financial house in order, no matter what size your business. You can bank on it. Sign up today for free.